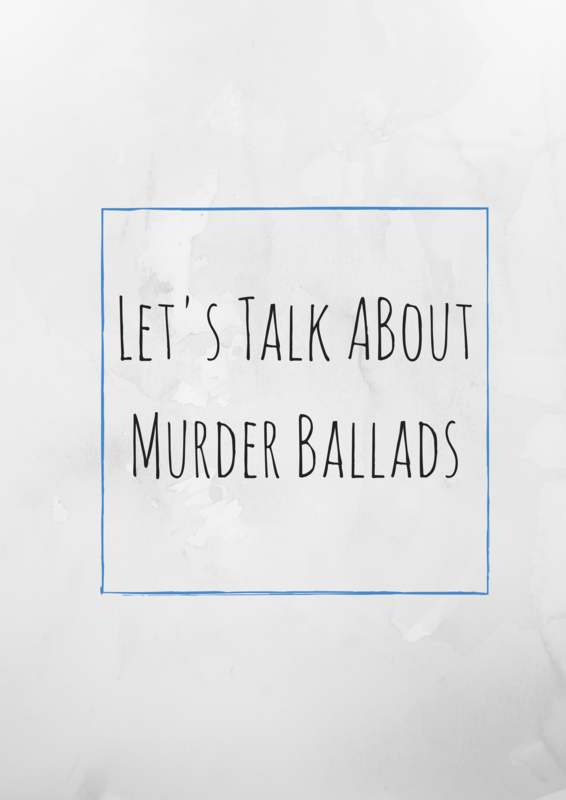 We were thrilled to have been interviewed by Ken Bigger of Sing Out’s Murder Ballad Monday. We’re fans of both the blog and the publication (we own a well-loved, oft-used copy of Rise Up Singing), so we couldn’t be more excited. Read the full piece by clicking here: Dear [Murder] Balladeer. 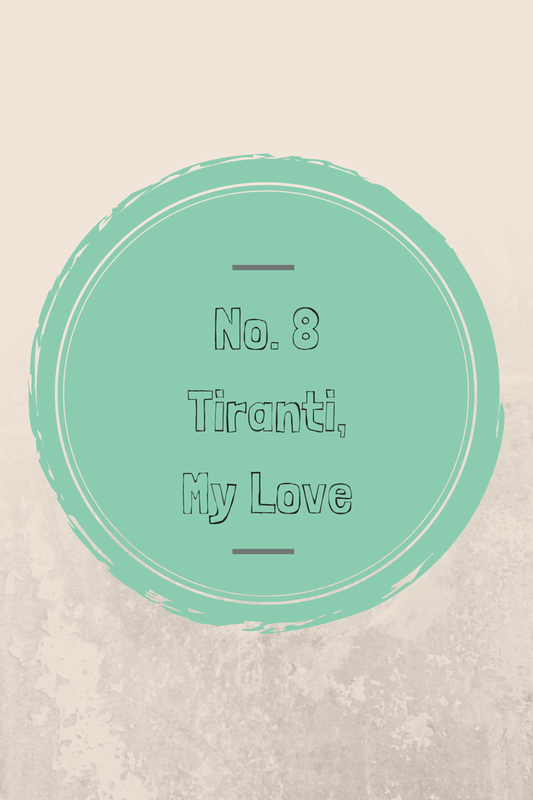 “Tiranti, My Love,” a version of Child’s “Lord Randall,” has very old origins throughout Europe, with the oldest known variant being “L’avvelenato” (“The Poisoned Man”), which dates back to 1629 in Verona, Italy. In the song, a son tells his mother that he has been poisoned by his lover. In most variants, it is through eating a reptile. There are many references to it in pop culture. Bob Dylan used it as inspiration in “A Hard Rain’s A-Gonna Fall,” incorporating the lyrics into the opening lines of each verse. Lines from the ballad have worked their way into Sallinger and Steinbeck and Sayers. It is sometimes performed in a humorous tone (Pete Seeger’s “Henry, My Son” is a great example and the recording below is a marvelous testament to Seeger’s delivery of song and story), perhaps because the novelty of eating ‘eels’ is too foreign a concept to find particularly threatening. Indeed, Niles mentioned that Mrs. Molly Ratliff, from whom he heard “Tiranti,” “made the entire performance a little bit funny” (Ballad Book, 62). Niles, however, in his recording of the variant “Jimmy Randall” elects for a straightforward and somber performance. Yes, one will surely do. The first time I heard Joanna Newsom, I fully and completely thought it was a joke. A gag recording along the lines of that American Idol contestant who went on to release an album of Christmas songs, sung weakly and off-pitch. Do you blame me? Her voice is strange. It warbles. It whines. Without having seen a picture of her (she’s really very pretty, though that shouldn’t matter), I recall envisioning some sort of banshee. Or maybe (though this would be anachronous) a creature along the lines of Marcel the Shell with Shoes On. That’s just the way she sounds to me. But after listening to her albums over and over, I love her music. For her beautiful lyrics and instrumentation (she plays the harp) and also because of (not in spite of) her voice. In its lack of polish and perfection, it feels guileless and beautiful in its uniqueness and inimitability. Her ability to emote, unfettered by any attempt at a typical vocal, is unparalleled. She is not alone in this category of brilliant musicians with unusual voices. Likely the most cited would be Bob Dylan. I would certainly put The Tallest Man on Earth in this category. I’m sure you can think of others. Here’s the deal: if you dislike their voices, you can either get over it and focus on their lyrics and music and love them for that, or you can’t. Some people can’t. Plenty can, as is evidenced by their success. John Jacob Niles was a trained classic vocalist, but that doesn’t stop many from finding his voice off-putting. He had a trademark habit of pitching his voice high into his falsetto, often to delineate a change in character in a ballad. Niles’ vibrato is also very prominent. Obviously, I’m a fan. I find the emotion of Niles’ voice and his ability to use it to tell a story completely compelling. I’m hooked. That doesn’t mean you are. And if you aren’t, I doubt this will change your mind. But in his defense, in defense of ‘strange’ voices everywhere — I can think of nothing sadder than a world in which music was only sung by people who had taken years of voice lessons and adhered strictly to convention. There would be a lot more cheesy show tunes. Can you imagine hearing “Like a Rolling Stone” sung classically? Ew. I’ve taken voice lessons, and I am fairly certain I will never be a strong vocalist. Jonathan hasn’t taken voice lessons, but he is a great singer. He can do a mean Jeff Buckley impression. It’s pretty spot on (and I find it oh-so attractive). What’s beautiful is, it comes easily to him. It’s his voice. I, on the other hand, can do a pretty spot-on Vashti Bunyan. That’s me. That’s my voice. It’s not particularly strange but it’s not especially ornamental either. It’s like how I talk, only set to music. But there is a place for that kind of straightforward singing, in folk music especially. I would say the same defense applies to low-tech recordings, flawed but deeply felt. Folk music is not about being polished, and it is not about being perfect. It is about sharing stories and traditions, it is about a communal harmony comprised of singers endlessly varied. 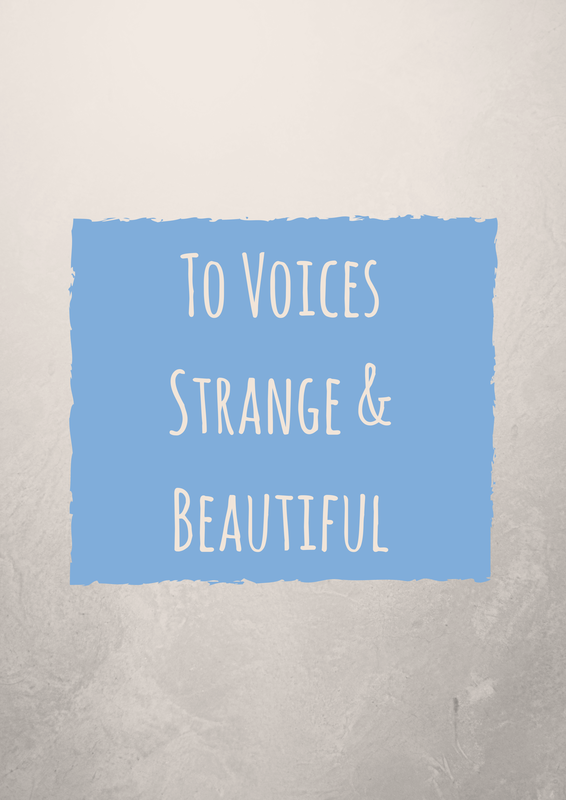 So here’s to voices strange and beautiful. Here’s to John Jacob Niles, and Joanna Newsom, and Bob Dylan and a hundred others. Their voices beautiful because they are true, because they are authentic, because they add something to the musical landscape we share, and because at the end of the day each of us can only be who we are. 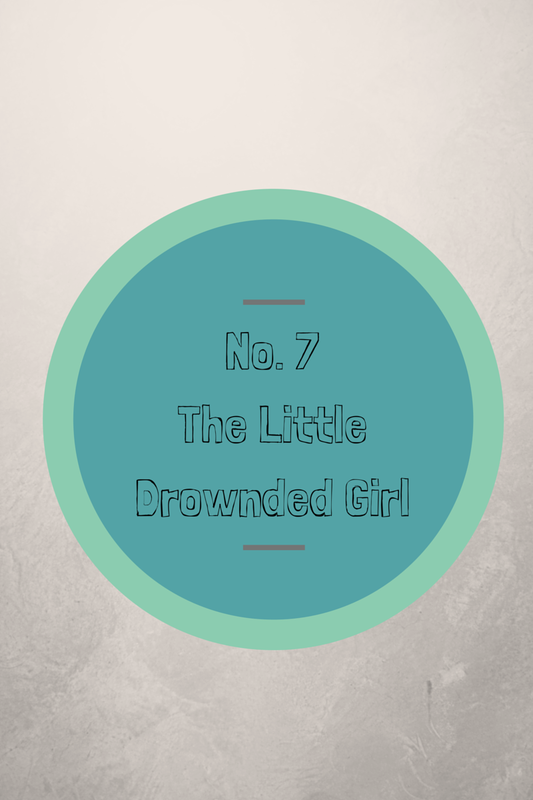 Our fifth ballad is derived from Child Ballad No. 7: Earl Brand. In most variants, a Lord steals or woos a maiden of a wealthy or noble family, taking her away to be his bride. A battle ensues between the Lord (here, William, in other versions, Earl Brand) and the maiden’s family. 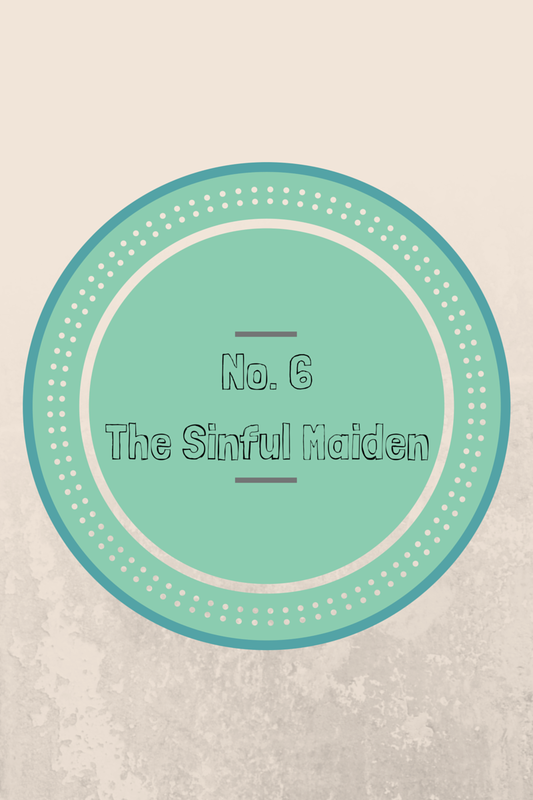 Before battle, the Lord instructs his bride not to name him — this is based in magical traditions in which to know someone’s name is to have power over them (think Rumplestiltskin). In most versions, she names him anyway, generally citing that she could have many true loves, but only one father. The Lord is then slain in battle, though he lives long enough to return to his home, where his bride and mother die of grief. 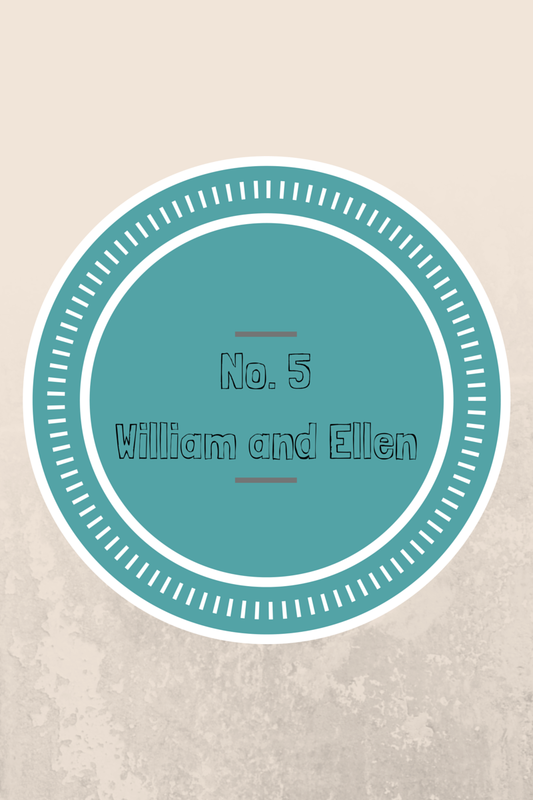 One interesting element of this ballad is that it formerly had a talking horse who instructs William and Ellen. You can see echoes of that here, though as ballad singer Solomon Holcomb remarked to John Jacob Niles, “People hain’t got no interest in talkin’ animals of any kind, and particularly, talkin’ horses” (Ballad Book, pg. 33). He fetched up his horse. Tis now you must decide. With chant and candle light. In churchyard side by side. Who yearn for love’s delight. Hugged Ellen’s briar so tight. Despite being an accomplished composer, John Jacob Niles seldom used more than one instrument in his folk recordings. Instead, Niles relied upon the theatricality of his voice and simple strumming techniques to deftly convey complex characters and musical landscapes. 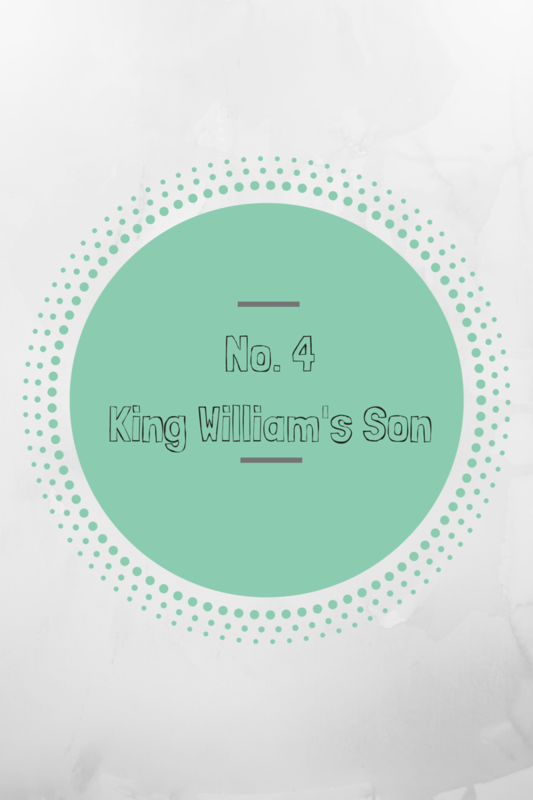 Here, unwittingly, Jonathan and I have channeled this idea: our recording of “King William’s Son” contains only voice, banjo, bass recorder, and drum. As a result, it is the story of the ballad that matters most. There are many things to love about this ballad. 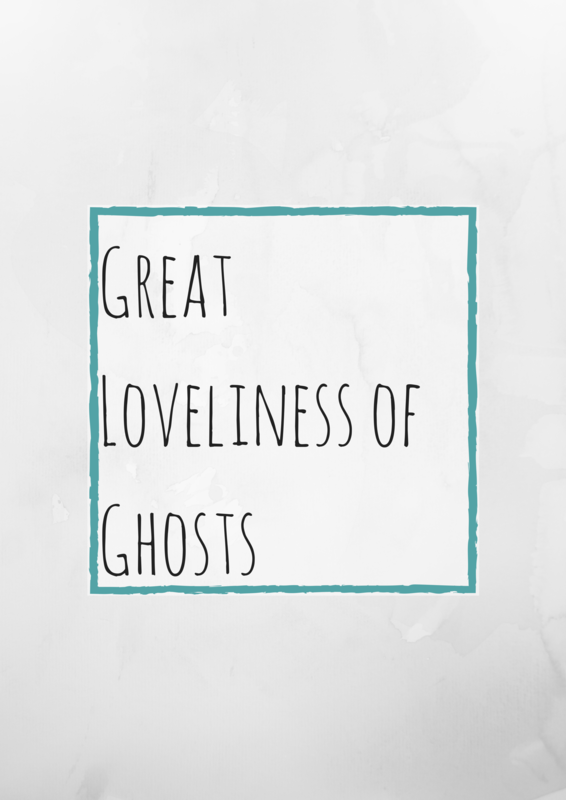 The melodic line is haunting, unexpected, enchanting. It has been stuck in my head since first learning it. The story is commanding and complex. Lady Isabel is a heroine worthy of both admiration and pity, we share King William’s presumed shame for the ignominy of his first-born son, and we too wish that the parrot would desist by the song’s end (hasn’t Isabel had a rough enough night already?). The classic elements of the ballad are rich and varied and the specific lyrics of this version simultaneously bawdy and heroic. This ballad is a version of “Lady Isabel and the Elf Knight.” In other versions of this song, it is not a human ruler (Prince Jamie) but instead an elf (this might explain the reference to Jamie’s ‘slender hips’). The story is as follows: an elf knight or lord of some sort seduces a young lady, especially by singing. He then leads her to the sea, where he reveals that he intends to kill her and steal all her possessions (including her clothing and thus, presumably, her virtue). Often, he explains that he has killed many other women in a similar way. Explaining that she doesn’t wish to be seen naked, Isabel asks the Knight to turn his back so that she can undress. She then throws him to the sea. The Knight begs to be saved at which point Isabel smartly refuses, citing the other maids’ deaths, and flees, leaving him to drown. When she returns home, she must contend with her parrot, who threatens to tell her father what has happened. The parrot is then bribed with the promise of a gold cage. Lady Isabel is a compelling heroine, but a problematic one too. She is crafty enough to trick Jamie once they’ve reached the sea. She is clever enough to refuse him when he promises to marry her and make her Queen in exchange for his rescue. Indeed, her response is so full of confidence and disdain that it is hard not to cheer with her, despite some gruesome imagery: “Soon the fish will eat your meat/ Instead of eating me.” She then rides home across the countryside, leading his horse along with her, arriving at the castle in a sweat. This is no damsel in distress. Instead of the willow tree” (29). It’s hard not to feel these lines have something to do with Isabel too. It is possible that in “King William’s Son” we are seeing a combination of the parrot in “Lady Isabel and the Elf-Knight” and his counterpart in another Child ballad, “Young Bunting.” In the former, the parrot aligns himself more with Lady Isabel; in the latter, the parrot sides more (and indeed seems to share the plight of) the murdered lover. The undertones of antagonism between Isabel and the parrot in “King William’s Son” seems to allude to his “Bunting” counterpart. (For much, much more on these ideas, please read Barre Toelken’s “What the Parrot Tells us that Child Did Not” as found in The Folklore Historian: Vol. 14, especially pages 47-50, which I have drawn from here. Toelken discusses these ideas as well as the symbol of the parrot in a cage vs. the parrot atop a cage or let loose as representative of domesticity vs. sexual liberty. Toelken, of course, makes no reference to “King William’s Son” as it is an little-known variant). It is a frustrating turn for Isabel’s audience that, while she has managed to keep her gold from Jamie, she now must cede it to the parrot. The Isabel of the last three verses feels tired and desperate, repeating lines and caving to demands. Below are a few other versions of the ballad, including one of our own recorded years ago: “Pretty Polly.” In it, Isabel has become Polly, she is stripped of her agency, and is buried in a shallow grave. Prince Jamie was the first. And look at yonder sea. I let you see my bare body. And pitched him in the sea. Your horse is all a-sweat? You’ll never have to lie. How near I come to die. 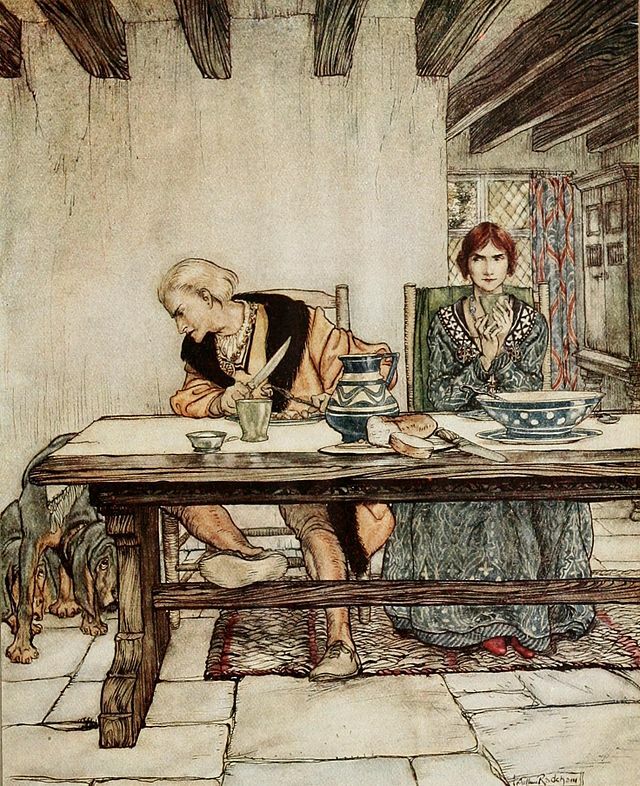 *In describing the elderly woman who sang him this ballad, Niles mentions that “In spite of all her troubles, she had a great sense of humor and was ready to laugh at almost everything, including herself… She used the word ‘hide’ in “King William’s Son” — possibly for the sake of rhyme, but more probably, I think, for humor’s sake” (Ballad Book, pg. 28) I love watching the singers’ personalities sneak into the ballad!